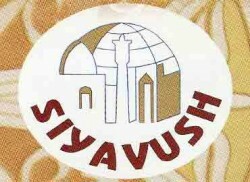 Hotel Siyavush is located in the heart of the historic center of Bukhara in an extremely characteristic and quiet area. It is surrounded by the extraordinary beauty of local houses, buildings and monuments which are unique to our city. On entering this exclusive hotel in Bukhara, you will immediately sense its special atmosphere as being one of warmth and intimacy, relaxation and charm. An atmosphere that makes you feel like being at home, with each detail passionately chosen and each room deserving a visit, not to mention our personal attention offered to each guest. Its style recalls that of the ancient inns of times past where young, Central Asian aristocrats stayed while discovering the beauty and artistic mysteries on offer in Bukhara. Street: 18, D. Sallohhona str.